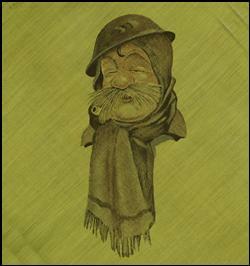 In March 1919 the latest thing in the growing range of merchandise featuring Bruce Bairnsfather's cartoons was first advertised - Bairnsfather handkerchiefs. 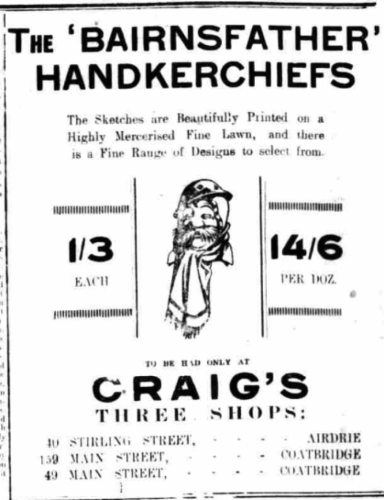 Relatively little is known about these handkerchiefs, and only one or two advertisements for them have been traced. 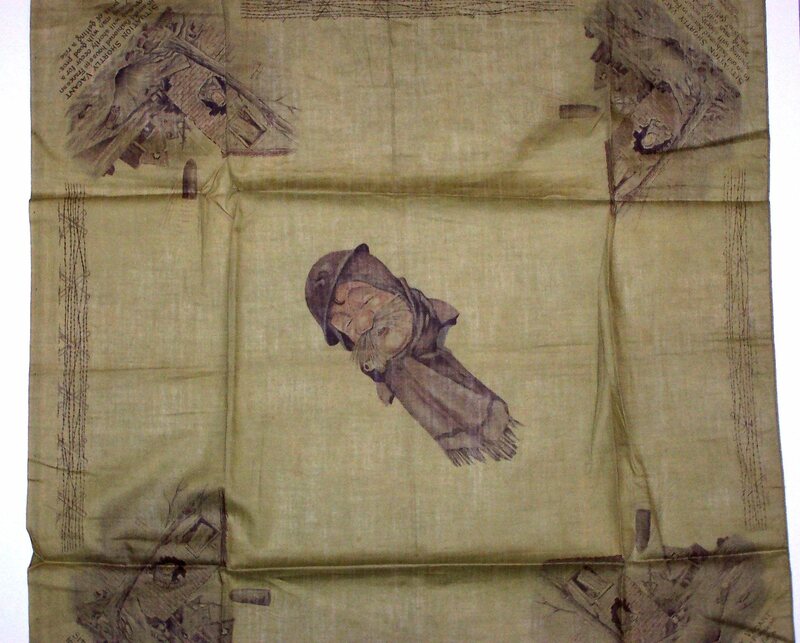 But two styles of handkerchief were certainly produced—one with a large Fragment from France cartoon printed diagonally in the centre, the other with a smaller cartoon printed (again diagonally) in each corner and a large image of Old Bill on a diagonal in the centre. 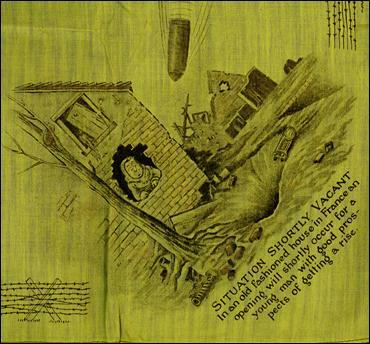 The larger central cartoons are tinted with colour. 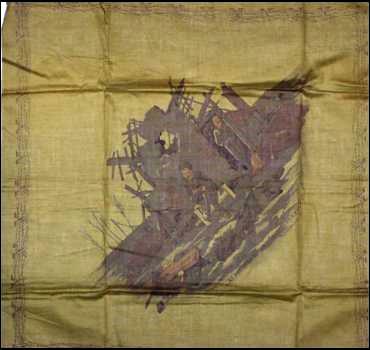 All of the handkerchiefs are bordered on all four sides with a barbed wire design. The Dud Shell or Fuse-Top Collector. 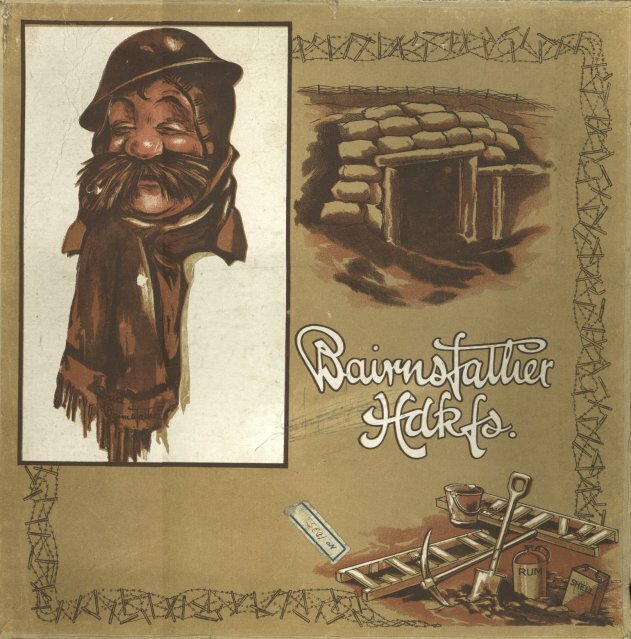 The handkerchiefs came in a 10” square presentation box, labelled “Bairnsfather Hakfs.” (printed in BB’s familiar handwriting style) and decorated with a cartoon of Old Bill and sketches of a dugout and trench tools and rations. 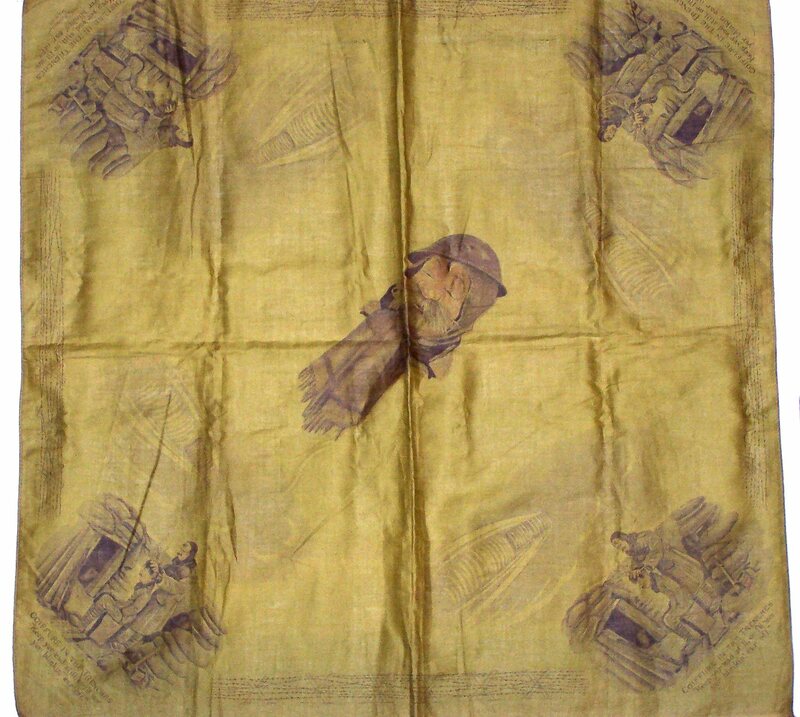 Each box is believed to have contained five handkerchiefs, with a mixture of both central and corner cartoons included. The box bears no makers name or price, and is itself an extremely rare item—the example illustrated here is the only one of its kind known to exist! 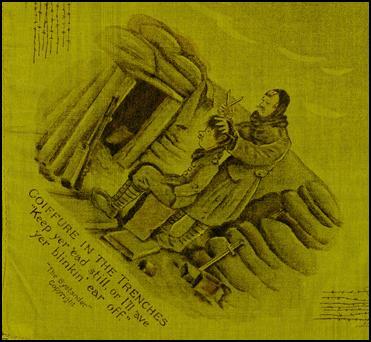 The cartoons on the handkerchiefs all have a “The Bystander Copyright” legend and there is almost no doubt that the handkerchiefs were produced to be sold exclusively through the publishers of The Bystander, who under the terms of their contract with Bruce Bairnsfather held all rights to his work and would have benefited considerably financially, from the sales of this latest item of official Bairnsfather merchandise. 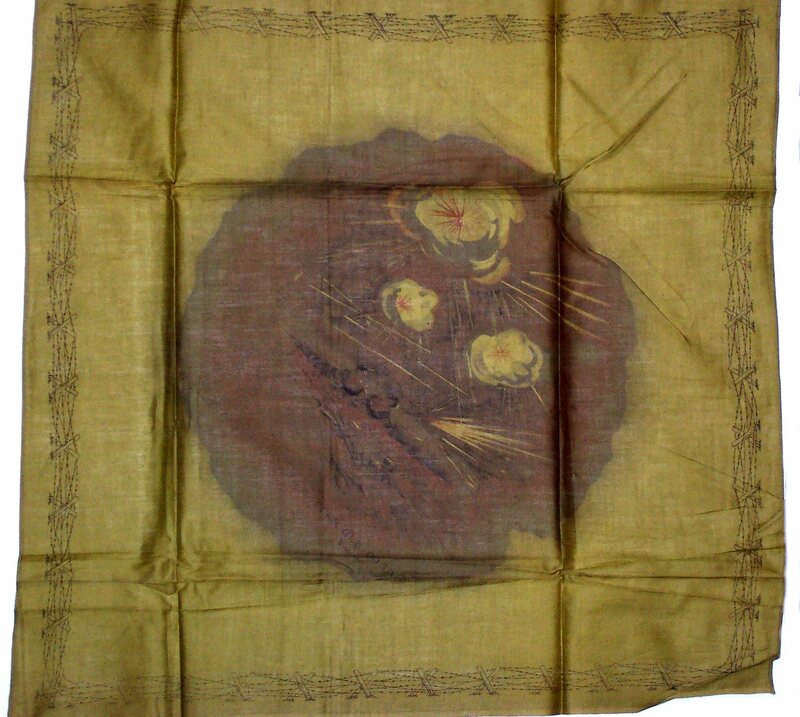 Photographs of five of the handkerchiefs accompany this article—unfortunately due to their dark colour, and creasing from almost 100 years of being folded up, they are not easy to capture on camera. 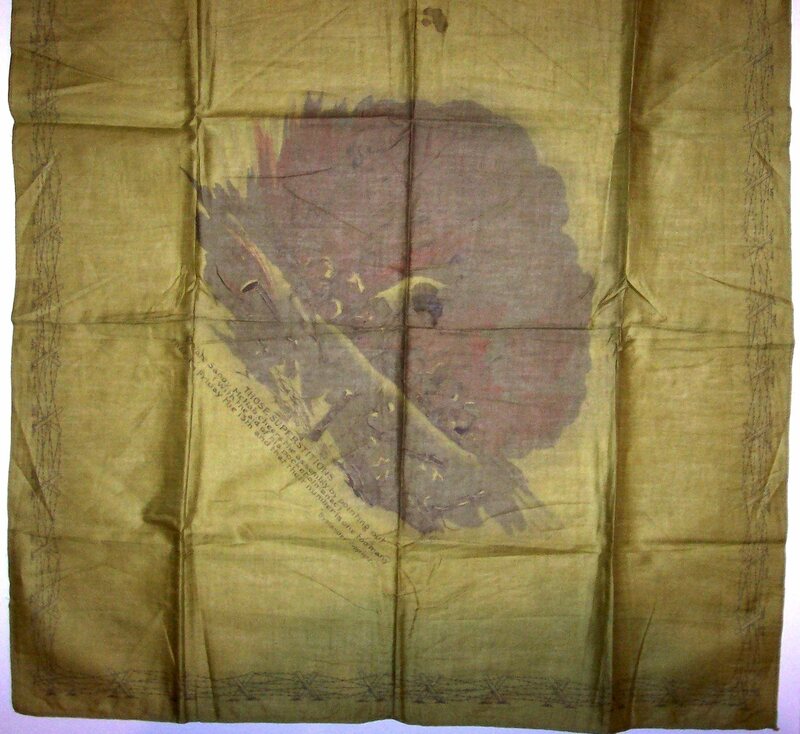 But the photo’s do give an idea of what these rare items are like, should you set out to try and find any, after reading about them here!